When: Tuesday, January 19, 2016, 7 - 9 p.m. 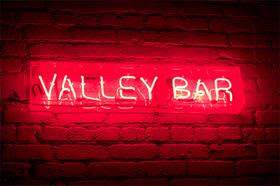 The Chandler Museum and The Ostrich Bar are hosting Trivia Night with Arizona Historian Marshall Shore, Tuesday, January 19, 2016, 7 - 9 p.m.
Attendees will enjoy one of the best cocktails in the Valley and delicious bites as they test their knowledge and learn more about the stories that makes up the San Marcos Hotel's past. There are tales of murder, kidnap, enterprise, celebrity and, of course, ostriches. "We are excited to be partnering with The Ostrich and Marshall Shore," says Jody Crago, Museum Administrator at Chandler Museum. "It is sophisticated fun with a host who will keep everyone entertained with local stories and photos from the Museum's archive." "Marshall's trivia nights have a cult following in Downtown Phoenix," says Mike Merendino, owner of The Ostrich and upstairs restaurant Crust. "We are looking forward to bringing this event to the East Valley. I cannot wait for attendees to hear some of the fantastic stories that happened right here in Downtown Chandler. People do not want to miss this." 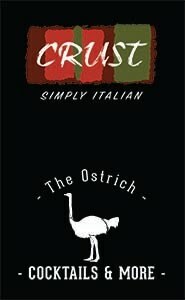 The Ostrich is located in the basement of Crust, near the San Marcos, at 10 N. San Marcos Place, in Chandler. There is no cover charge for this event. For more information or to make reservations, call 480-917-4903.